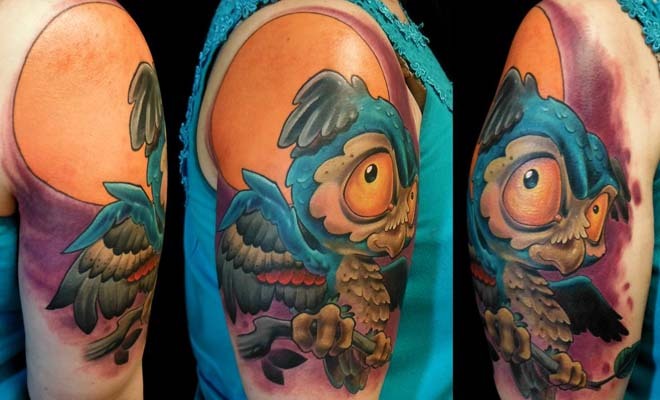 This owl tattoo incorporates a human baby and owl eyes. You can imagine how this tattoo in which a human baby is painted with an owl eyes would look like when shaking the hand or face? Does it really look interesting or scary? By no doubt some people would really get scared by looking at this type of owl tattoos on other people.